As part of my Fall Semester leadership learning, I chose to read and study the book “Primal Leadership”. After spending several months reading and studying the book, which discusses one of the essential leadership components, that is the emotional wellbeing of the staff and the organization that can be achieved through the use of intelligence leadership ability and style of a leader, I found the book a timely and insightful resource for a successful leadership and organizational accomplishment in the 21st century. The book “Primal Leadership”, which was written by; Richard Boyatzis, Annie Mckee and Daniel Goleman, identifies the significance of emotional and psychological stability of personnel to the successful leadership and organizational accomplishment. It is unfortunate that emotional and psychological wellbeing of staff, which is indeed one of the essential elements to the successful leadership and the organizational delivery, use to be taken foregranted by many leaders and organizations, especially in developing countries like Nigeria. From my personal understanding after reading the book, absence of intelligence leadership style, ability and qualities from our leaders, may be one of the reasons of low or no performance at work. In a situation, where a staff is working with a boss, who does not concern or care about the psychological and emotional wellbeing of the workers will undoubtedly affect their performance. Though, the authors use philosophical terms in writing the book, which I think may not be easily understood by common reader but, it is very helpful and resourceful contact for progressive leaders, who want to move their organization to the next level of development and transformation. I am particularly impressed with the different styles and approaches to quality leadership and the future of organization as all suggest by the book. These include: The power of emotional Intelligence, creating sustainable change, resonant leadership, becoming a resonant leader, primal leadership, making leaders, the dissonant styles, becoming a resonant leader, the five discoveries, the motivation to change, building emotionally intelligent organizations, giving life to the organization’s future, creating sustainable change, as well as sustaining leadership change in an organization or society at large. Undoubtedly, emotional stability plays a crucial role in the performance and outputs of the staff in every organization. As describe by the authors in page 23 of the book “Primal Leadership”, “Great leadership works through the emotions. No matter what leaders set out to do—whether it’s creating strategy or mobilizing teams to action—their success depends on how they do it. Even if they get everything else just right, if leaders fail in this primal task of driving emotions in the right direction, nothing they do will work as well as it could or should”. With this, I think the success of every leadership hugely depends on the leadership’s ability to create an emotionally stabilize and inclusive environment for the people working in the organization. Another important lesson that the book sends to leaders is that empathy. This includes; listening to and respect for the staff. It is clearly known that human beings like respect and recognition through feedback. So, resonance is one of significant message of the book. By the moment a leader fails to either empathize with, or to read the emotions of his or her staff, a dissonance environment will automatically be created, which resulting to needlessly upsetting messages. As suggests by the book, “If a leader lacks resonance, people may be going through the motions of their work but doing merely a “good enough” job rather than giving their best”. [Page 42]. “My ideal self—who do I want to be”? “My real self—who am I”? What are my strengths and gaps? “My learning agenda—how can I build on my strengths while reducing my gaps”? “Experimenting with and practicing new behaviors, thoughts, and feelings to the point of mastery”. “Developing supportive and trusting relationships that make change possible”. I am of the believe and opinion that application of these discoveries will help to produce more leaders with primal leadership concept and philosophy. After reading and understanding the book “Primal Leadership”, which I chose to read for the Fall Semester as previously mentioned, I consider myself a democrat. This is simply because of my strong believe in inclusive and participatory process at all levels of governance and leadership. The democratic style of leadership is the only process that encourages participation in governance or leadership through elections, a process that abides by majority and respect the voice of the minorities. It is also giving people opportunities based on their potentiality and commitments. In all, it is a system that encourages hardwork and commitment to service to humanities at different levels of leadership. Richard Boyatzis is Distinguished University Professor as well as a professor in the departments of organizational behavior, psychology, and cognitive science at Case Western Reserve University. He is also an adjunct professor of human resources at ESADE. Prior to joining the faculty at Case Western, Boyatzis was president and CEO of McBer & Co. and COO of Yankelovich, Skelly & White and served on the board of The Hay Group. Boyatzis is the author of The Competent Manager: A Model for Effective Performance and Transforming Qualitative Information: Thematic Analysis and Code Development and a coauthor of Innovations in Professional Education: Steps on a Journey from Teaching to Learning. Along with Primal Leadership, which has been published in twenty-eight languages, he is coauthor with Annie McKee of Resonant Leadership: Renewing Yourself and Connecting With Others Through Mindfulness, Hope, and Compassion and Becoming a Resonant Leader: Develop Your Emotional Intelligence, Renew Your Relationships, Sustain Your Effectiveness, with Annie McKee and Frances Johnston. Annie McKee is a senior fellow at the University of Pennsylvania Graduate School of Education and director of the Penn CLO executive doctoral program. McKee teaches at Wharton Executive Education and speaks widely to both private- and public-sector audiences. She is also cofounder of the Teleos Leadership Institute. 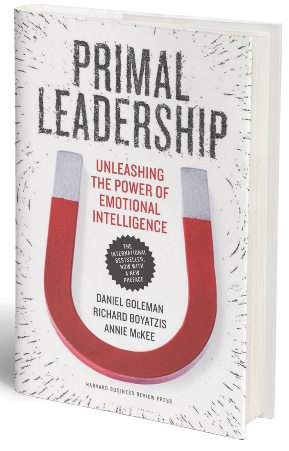 With coauthors Richard Boyatzis and Frances Johnston, McKee has published Resonant Leadership and Becoming a Resonant Leader, two bestselling books that extend Primal Leadership’s message and values. Daniel Goleman is the author of the internationally bestselling books Emotional Intelligence and Working with Emotional Intelligence. 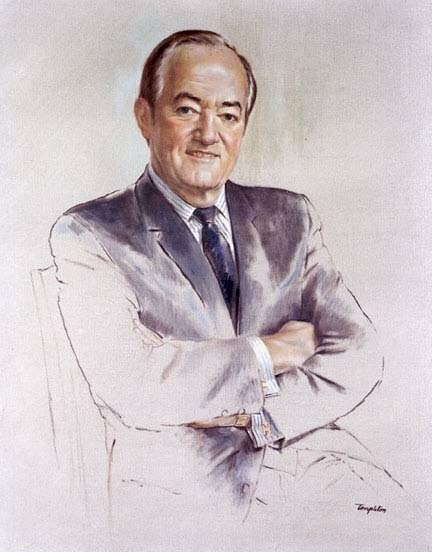 A psychologist who for many years reported on the brain and behavioral sciences for the New York Times, he has been a visiting faculty member at Harvard University. Goleman is cochairman of the Consortium for Social and Emotional Learning in the Workplace, based in the School of Professional and Applied Psychology at Rutgers University. He lectures frequently to professional groups and on college campuses. Written by: Salisu Ibrahim on March 17, 2019.